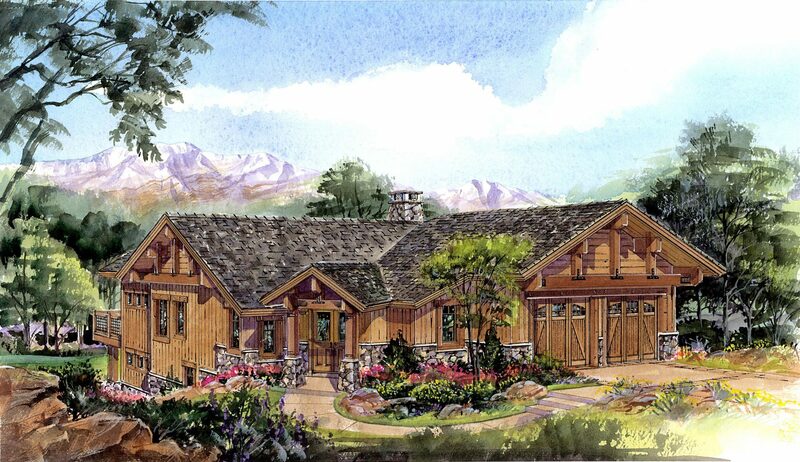 Red Ledges has re-introduced their popular Cottages on Kings Peak, a series of intelligently designed homes situated on a dozen sites with Wasatch Mountain views. They’ve proven to be popular – the first new cottage that Red Ledges Homebuilding completed was named the national Fall, 2018 “Ideal Home” by Ideal Living, the quarterly real estate and lifestyle magazine that has helped thousands of vacation and retirement buyers find their dream property. Little wonder that “Ideal Cottage” sold before our construction company finished it! Red Ledges’ Cottages on King Peak plans are 3,200 to 3,500 luxuriously finished heated square feet, with 3 or 4 bedrooms and copious outdoor living spaces. Buyers have chosen them for family retreats and for primary residences, as they combine great access to the fun of Park City, Sundance and the Heber Valley and the best of private club living (Red Ledges’ world-class golf, tennis, and wellness amenities) in a convenient, minimal maintenance cottage neighborhood. The attached virtual tour is the model home for this floor plan. The cottage for this lot is under construction and will have different finishes. This cottage is on a quiet street and has beautiful views of Mt. Timpanogos.